The extent and impact of recent security breaches is showing that current security approaches are just not working. But what can we do to protect our business? We have been advocating monitoring for a long time as a way to detect subtle, advanced attacks that are still making it through our defenses. However, products have failed to deliver on this promise. Current solutions don’t scale in both data volume and analytical insights. In this presentation we will explore what security monitoring is. 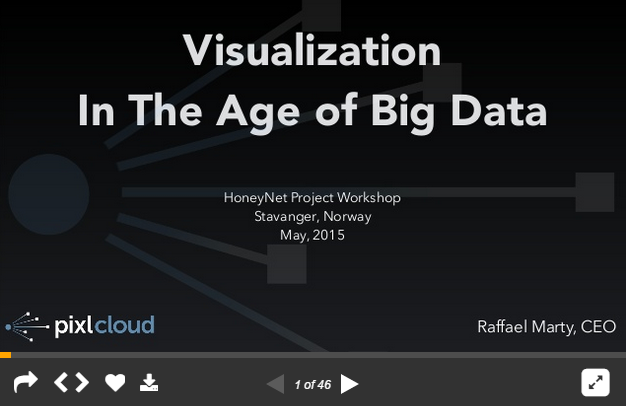 Specifically, we are going to explore the question of how to visualize a billion log records. A number of security visualization examples will illustrate some of the challenges with big data visualization. They will also help illustrate how data mining and user experience design help us get a handle on the security visualization challenges – enabling us to gain deep insight for a number of security use-cases.